Industrial and hydraulic hose and fittings, conveyor belt and components, abrasion and corrosion-resistant lining, and forestry fire equipment. 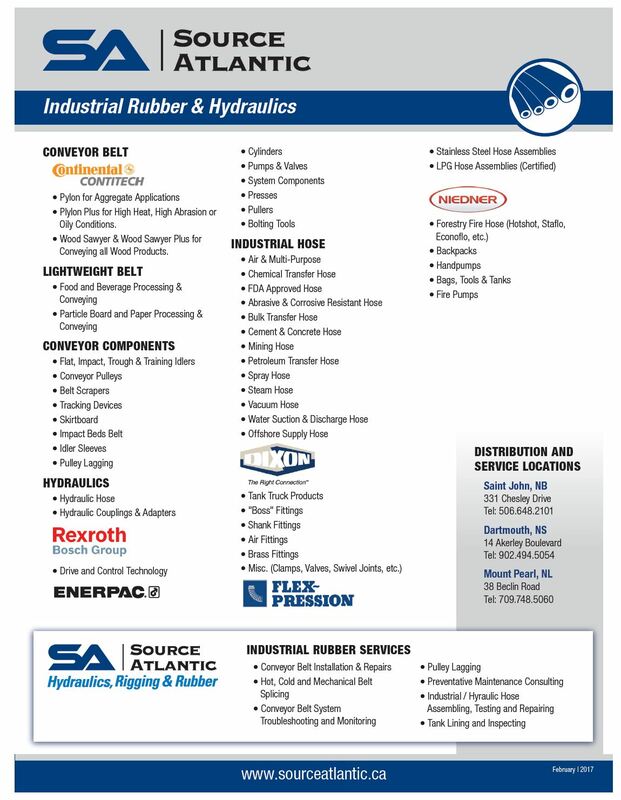 We specialize in conveyor belt installation, troubleshooting, monitoring and repairs of both lightweight and heavyweight industrial conveyor belts. Services include pulley lagging, preventative maintenance consulting as well as hot, cold and mechanical belt splicing. Our team of factory-trained technicians are highly dedicated to providing the highest quality service throughout the Maritimes. We provide industrial hose assemblies tailored to our customers’ needs and requirements. Hose assemblies are tested and certified by our factory-trained service technicians. Need to track your asset? 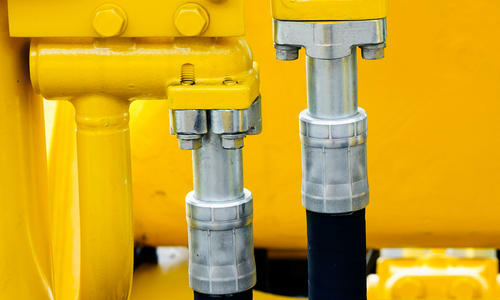 We provide asset management on our hose assemblies through RFID and mobile computing systems. 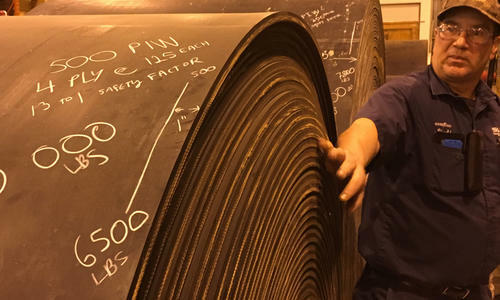 Our service technicians specialize in tank lining, inspecting, troubleshooting, and repairing tanks as needed to ensure our customers rubber lined equipment’s life is prolonged.